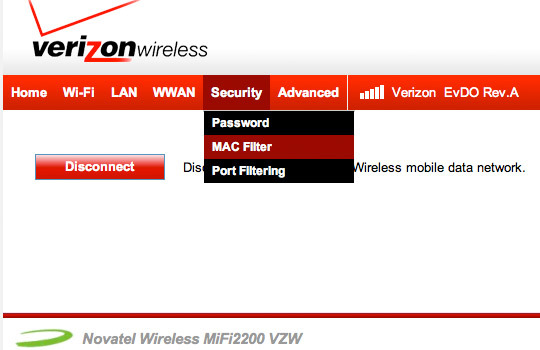 From the Home screen, navigate Security > MAC Filter. 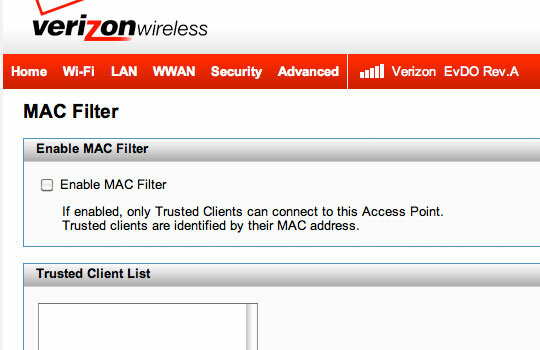 Ensure Enable MAC Filter is selected. 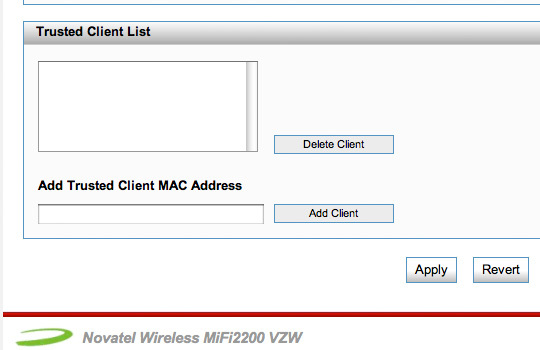 From the Add Trusted Client MAC Address field, enter 12-digit MAC address then select Add Client. Repeat for each additional device.